Inferno DVD and Blu-ray release date was set for January 24, 2017 and available on Digital HD from Amazon Video and iTunes on January 24, 2017. 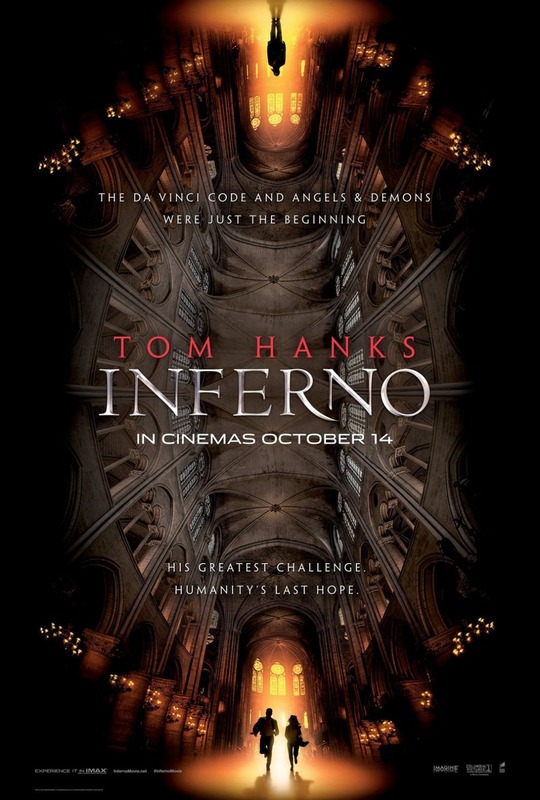 Inferno, based on the novel by Dan Brown, follows famous symbologist Robert Langdon on another grand adventure. When Langdon wakes up in a hospital in Florence, Italy, unable to recall how he got there, he suddenly finds himself as the target of a massive manhunt. With the help of Dr. Sienna Brooks, he must race against the clock to try to regain his memories in order to stop a potentially devastating global attack. To do so, he uses his knowledge of symbology and history as he makes his way through Europe to solve the toughest riddle he has encountered yet.